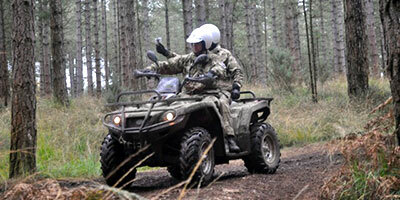 The Royal Corps of Signals Display Team ‘The White Helmets” field trialing the Dalesman 840cc V-Twin diesel ATV. 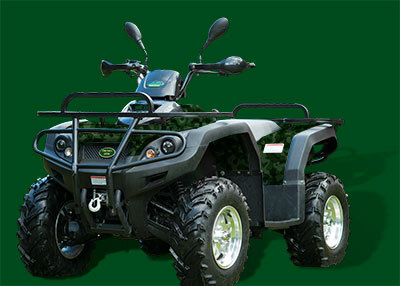 Following the success of ‘The White Hemets” field trial of the Dalesman V-Twin diesel ATV and their continued assessment and constructive recommendations for improvements, we are delighted to add this Quad to our quality range of products for release early in 2013 at a competitive price of £6995.00. 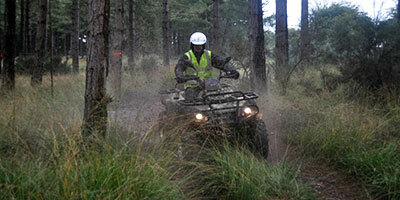 The Dalesman V-Twin diesel ATV dealing with rough terrain. 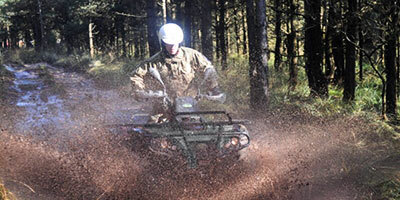 The Dalesman V-Twin diesel ATV making a splash. Transmission - Auto, heavy duty torque converter with selectable high, low, neutral, reverse and parking position. 4WD, 2WD and front electric dif lock. plus VAT & national delivery charge.